Alice spent some time with me last night drawing, mostly monsters. 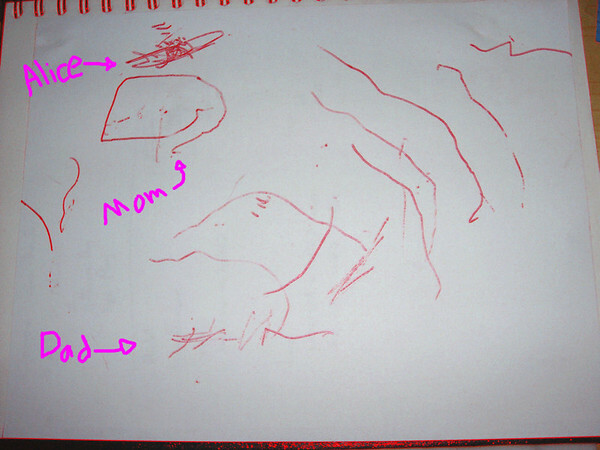 She drew an Alice Monster, then a Mommy Monster, and finally a Daddy Monster. She also did growls so that I would know what they all sounded like. Alice has been doing quite a bit of portraiture lately, along with her feet drawings. P.S. I have enhanced the image a bit, to make the lines clearer.